When one of Emma Grace Falin's 6-year-old twin brothers falls into a well and dies while in her care, she begins a journey through the valley of the shadow of death. She stops praying, believing, reading the Bible, and attending church. Emma Grace thinks God has failed her. How will he convince her otherwise? Nancy Jo Jenkins is a Texan, born and bred, but descends from a large Irish family who love "rowdy get-togethers." A schoolteacher for many years, Nancy has taught special education and accelerated student classes in Austin, where she is heavily involved in the public school system. She is also an active church member who has served as Sunday school teacher and pianist, and has directed many Vacation Bible School programs over the years. An avid reader as well as writer, Nancy Jo is a member of American Christian Fiction Writers, and is a past member of American Christian Writers Association. She enjoys attending writing seminars and serving as a conference and workshop speaker as well. She and her husband, David, have three grown children, seven grandchildren, and three step-grandchildren. 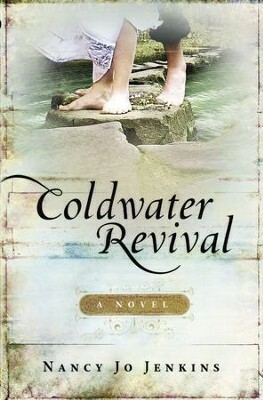 I'm the author/artist and I want to review Coldwater Revival: A Novel - eBook.